Stop criminals from using your FI to move dirty money. Are accounts at your FI being used by drug smugglers and human traffickers? Funnel accounts are a method used by criminals to launder money that exploits branch networks of financial institutions. Increasingly, criminals are strengthening their organizations by using funnel accounts to launder funds weaved throughout a host of devastating crimes — including human smuggling, human trafficking, and drug trafficking crimes. Verafin alerts you to potential funnel accounts, helping you shut down money mules and block the flow of illicit funds to human trafficking and drug smuggling organizations. Verafin considers profile information related to the individual receiving the funds, including if they are an NRA or have a foreign address or identification on file, to establish a level of activity risk. This helps enhance scrutiny on higher risk entities, as recommended in the FFIEC examination manual. In addition to an entity’s profile information, Verafin analyzes geographic factors such as the distance between the deposit and withdrawal location and proximity to the southern border to further assess the potential that the account is being used to funnel illicit funds. Verafin’s funnel account alerts include investigation tools for viewing details of the customer’s activity, including turnover graphs illustrating the timeline and values of transactions; and visual maps showing the physical locations of the FIs where suspicious deposits and withdrawals occurred, with transactional values. Criminal organizations will often recruit money mules to open new accounts at your institution to receive and withdraw the illicit funds. Verafin’s funnel account analysis will alert you to their presence within your institution, giving you the ability to take required action. Verafin’s SAR functionality makes reporting funnel account activity seamless. Generate an auto-populated SAR directly from a case. Complete your Narrative with the help of the investigative notes and findings you have saved in the case and e-file directly from Verafin to FinCEN. Funnel accounts are used by criminal organizations to help fund destructive activity, such as human trafficking, smuggling, and drug trafficking. By identifying and reporting these accounts you are having a positive impact on the fight to stop one of the world’s most devastating crimes. Verafin’s 314(b) information sharing tools give you access to a wealth of additional information via collaboration with investigators at the institution originating the transfer. With this information at your disposal you can make better informed and more confident investigative decisions. 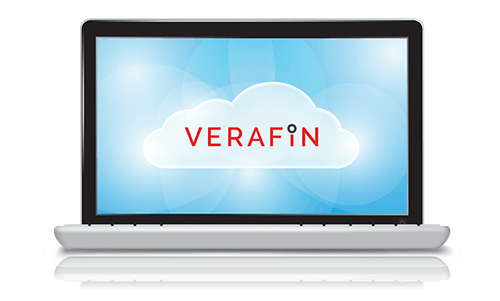 Interested in learning more about Verafin's Funnel Accounts Solution?